Attending the second Roche Diabetes Social Media Summit in Orlando, I bring you a guest-blog from my loving wife Susanne, who's been a life-changing force in how I've changed my overall life and D-Management for the better during the past decade. Nothing written can do justice to how wonderful she is, and I'll let her say what she wants here without interfering much - only to say that I wouldn't be where I am and have what I consider to be a blessed existence without her special love, support, and partnership. Some might find it’s exciting to have in their lives occasional encounters with apple-cider loving aliens, frosting-laced wrestling matches, and recognition of the local paramedics by name and face. But those are just some of the infrequent happenings in the life of a wife of a Type 1 diabetic, a Type 3, and it’s not part of a daily routine that I don’t consider all that adventurous. Rather, it's what I know and love and wouldn't do anything differently - except to have that long-desired cure. 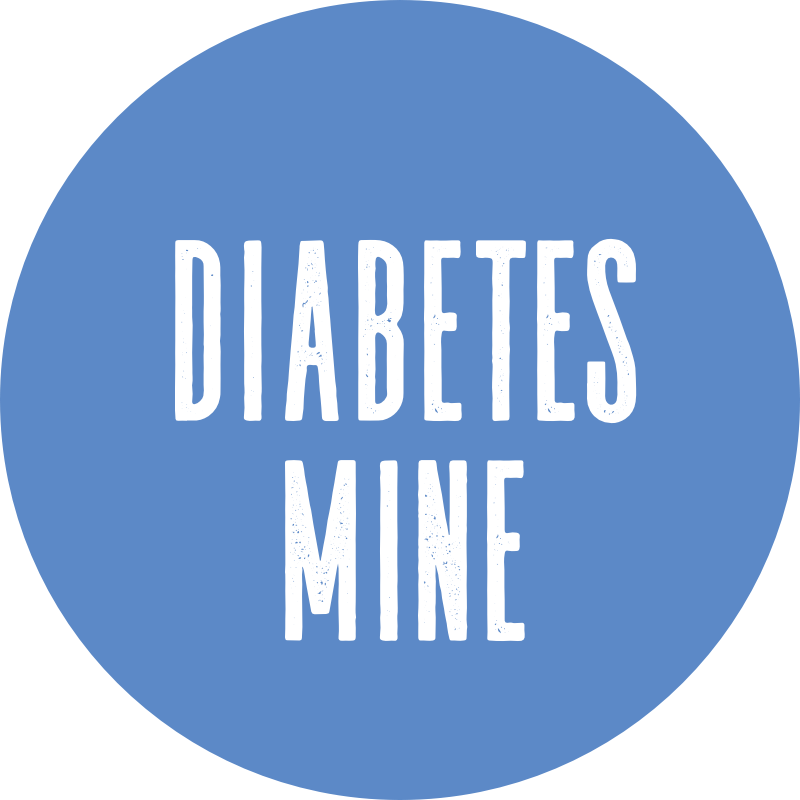 We've seen a lot in since the beginning in 2000, but even then it wasn’t all that glamorous as it relates specifically to diabetes. More specifically I have found adventure in moving from Michigan to Indiana and getting an actual real 8-page newspaper made for my engagement proposal, and the Big Question being popped in front of a 100-plus of Mike's fraternity brothers and dates. That's all been exciting, as has our life together, and the D is just along for the ride! I first learned about diabetes like most non-diabetic girls my age – by watching Steel Magnolias… But I would have never thought that one day I would fall in love with and marry a type 1 diabetic. I’ve heard people say that when Mike & I started dating more than 10 years ago, I did “all this research” on Diabetes. Apparently I did so much research, that I don’t even remember doing research. As my major in college was in the health sciences department, I had learned the basics of Diabetes that way; the difference between a high & a low, what happened when you ate different types of food, what to do in an emergency, and what future side-effects could be. So if that was my research, than thanks to Oakland University for the assistance. 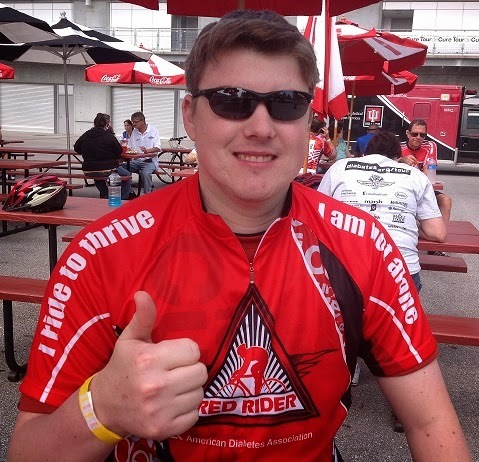 Through the years, I've witnessed my Michael change his ways for the better in how he manages his diabetes. He started on the insulin pump a little more than a year into our dating during our last year of college, and that helped him lower his A1C so much. There's been slacking, but in the five years that we've been married he has also gotten much better in doing what's necessary - in large part thanks to our own personal talks and planning but also his more recent involvement with the Diabetes Online Community. Being married to a diabetic is no different to me as being married to someone who as food allergies. Physical activity wise, there is nothing that we/he/I cannot do. Eating is the same, when you think about it, there is nothing that we/he/I cannot eat. There are things we shouldn’t eat or thing that should be limited (I can eat shrimp with my seafood allergy, I just have to be prepared for the reaction that WILL follow. Mike can eat a whole triple chocolate cheesecake, again he just has to be prepared). My life as a D-Wife is not very exciting… Sorry, but I find it very boring. - If Mike is not already awake, I usually get him up about 15 minutes before I leave. He does his pre-breakfast test and then I can go along my way knowing that he isn’t going Low. - We text occasionally through out the day and usually talk at lunch. He doesn’t keep me up to date on every test result and I don’t make him - I think it helps to not be “that person.” He will let me know about any particular Highs or Lows that get in the way of the day’s tasks, and sometimes I’m able to catch up on his day’s Tweets that may detail some of those “#bgnows.” But that’s about it. - Again, we text or call when we leave work to go home for the day; try and figure out what to make/eat for dinner. Whoever gets home first usually starts dinner, I normally finish either way, and usually calculate the carb counts for our particular meal. Aside from this usual routine, we have had some times when there’s been what some might call “adventure,” or “excitement,” or “fear-enducing experiences.” The paramedics come to our house from time to time. We’ve had our own home-navigated Lows, that have included Mike thinking I’m an alien trying to force apple cider or glucose down his throat. I’ve had to wrestle him to get honey or frosting into his system. These Lows are just a part of him working toward tighter control, and it’s a happening that doesn’t happen all too often. We make due and have our own system in dealing with these issues, and work together to make sure we’re doing everything possible to avoid this kind of “excitement” if at all possible. But I’m not ashamed to tell anyone that it happens, and I’m OK with doing what’s necessary out of love. Basically, I don’t know any different way of life. This is our routine, and it works just fine for us – as I’m sure all of those other diabetic couples out there have their own routines and rituals that aren’t anything odd in their own worlds, but might seem strange to the outsiders looking in. Regardless of the Highs and Lows of the D-Life, this is all just "normal" for us and something we look forward to each day together (five years in September - YAY!). Susanne, you seem like a wonderful person. I just pictured you wrestling him on the ground to pop some honey in his mouth. I would imagine that if a stranger were to walk in on that situation...it might freak them out. Just cracks me up thinking abou it. I wonder about the alien statement. Mike being a writer and all...my guess is that his imagination is pretty darn good. I ask because when my daughter gets low...there's really no reaction other than being loopy. My son though, who had a wild imagination, "sees things"...I wonder if it's just how the brain works it out. Suzanne, welcome to the D-Blog club!! Suzanne - We have heard so much about you and it's wonderful to meet you. This is such a wonderful post. It's so clear that you and Michael are a team in dealing with diabetes just like any other part of your married life. Thanks for taking the time to chat with us! Michael is one lucky guy!